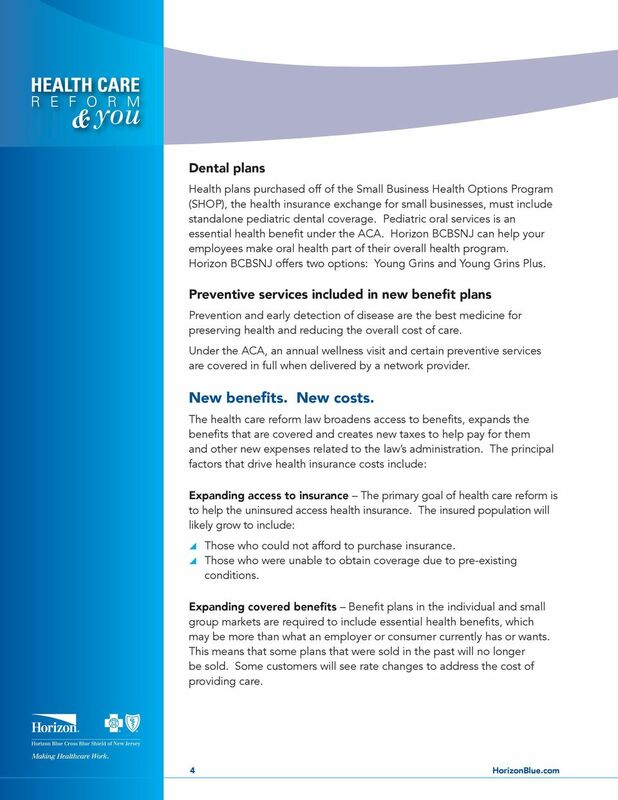 Download "What You Need to Know About Health Care Reform"
17 When it comes to dental care and prevention, our plans give everyone something to smile about Everyone likes a good smile and our dental plans are enough to make everyone smile because they satisfy a variety of needs and circumstances. 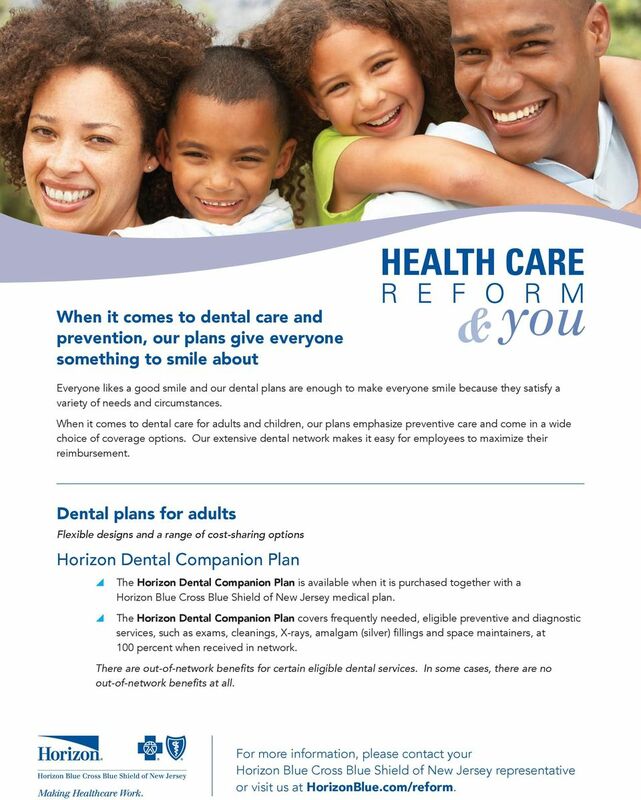 When it comes to dental care for adults and children, our plans emphasize preventive care and come in a wide choice of coverage options. 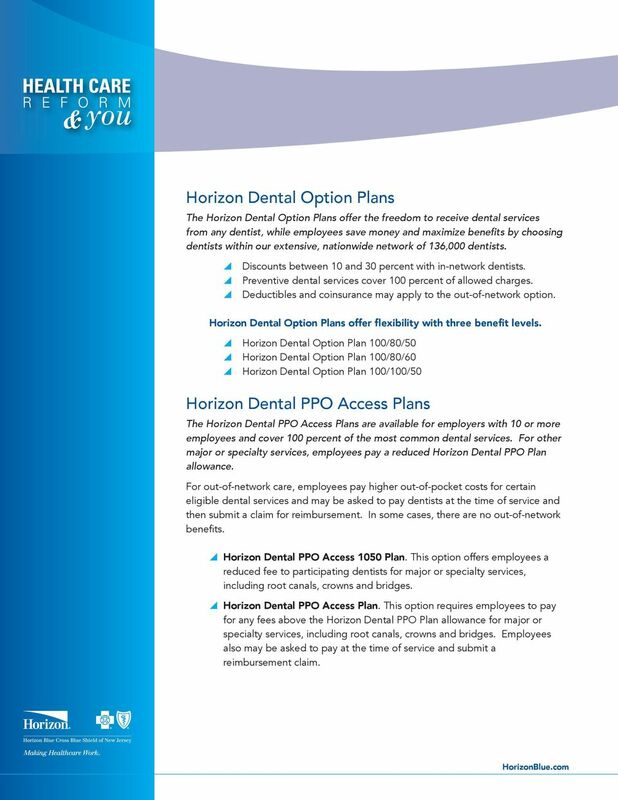 Our extensive dental network makes it easy for employees to maximize their reimbursement. 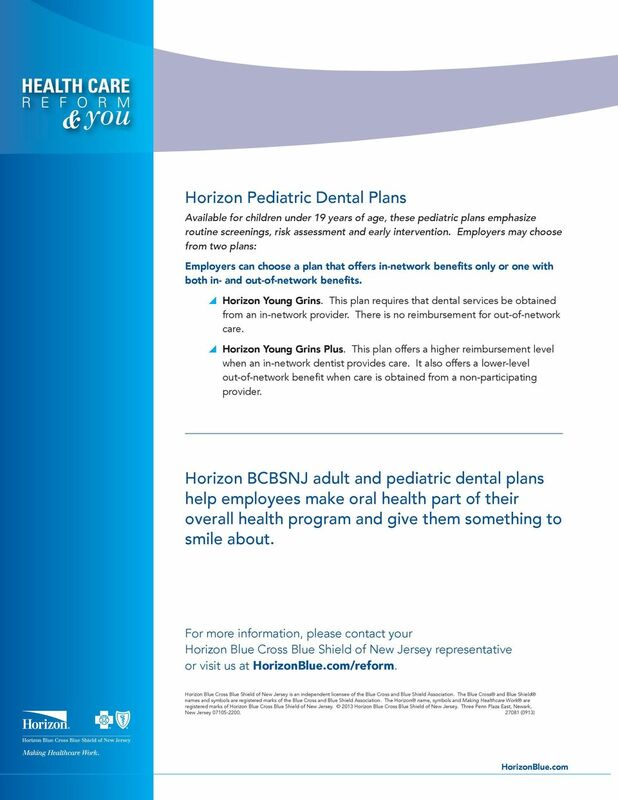 Dental plans for adults Flexible designs and a range of cost-sharing options Horizon Dental Companion Plan y The Horizon Dental Companion Plan is available when it is purchased together with a Horizon Blue Cross Blue Shield of New Jersey medical plan. 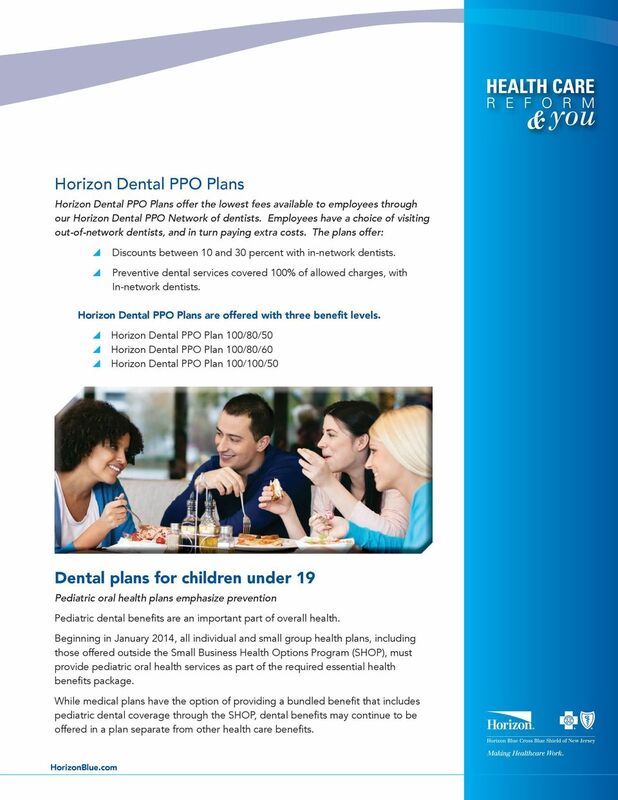 y The Horizon Dental Companion Plan covers frequently needed, eligible preventive and diagnostic services, such as exams, cleanings, X-rays, amalgam (silver) fillings and space maintainers, at 100 percent when received in network. 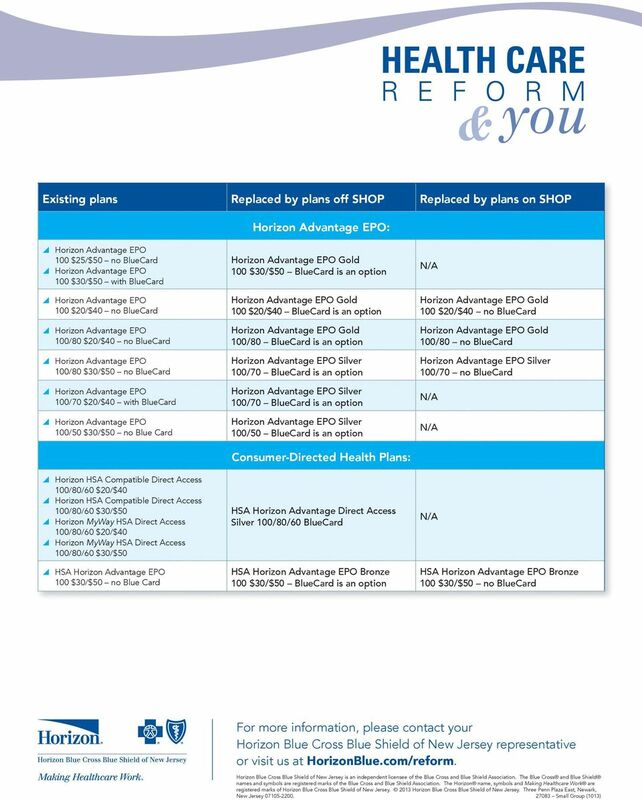 There are out-of-network benefits for certain eligible dental services. 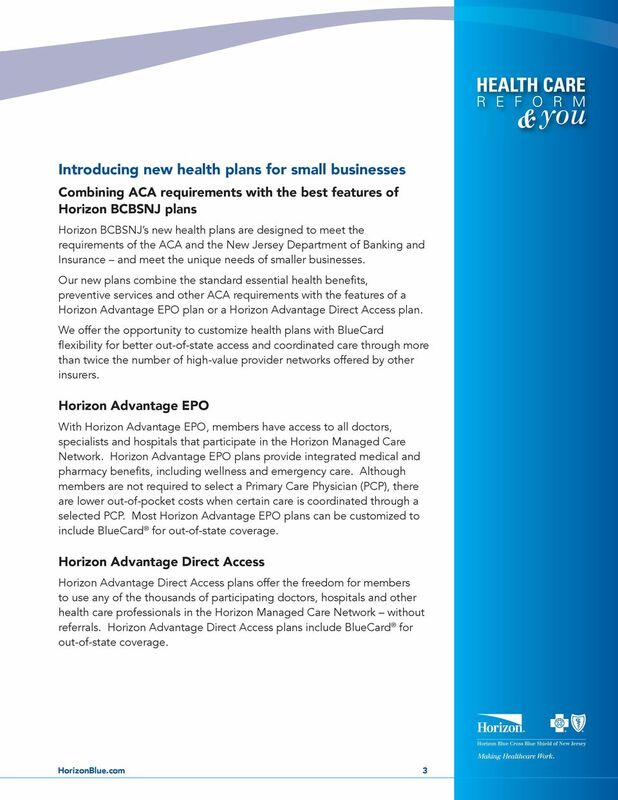 In some cases, there are no out-of-network benefits at all. 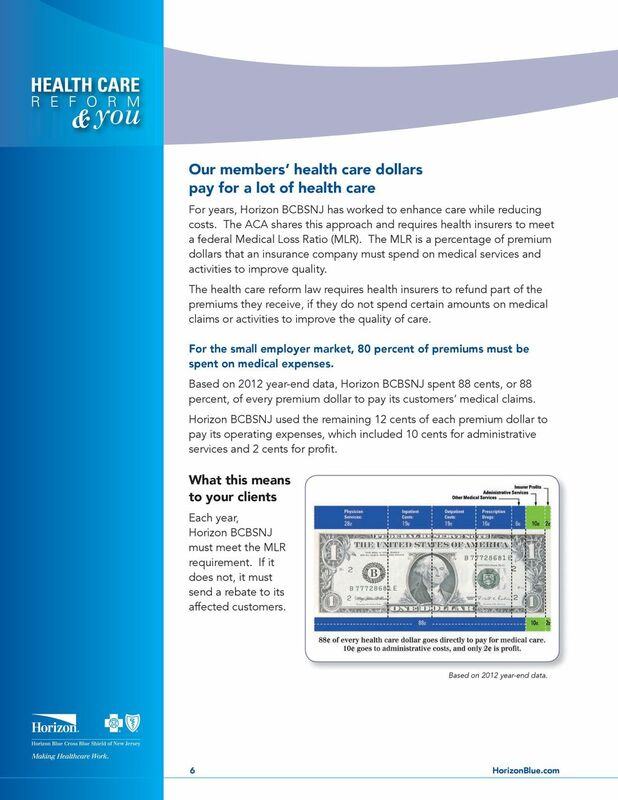 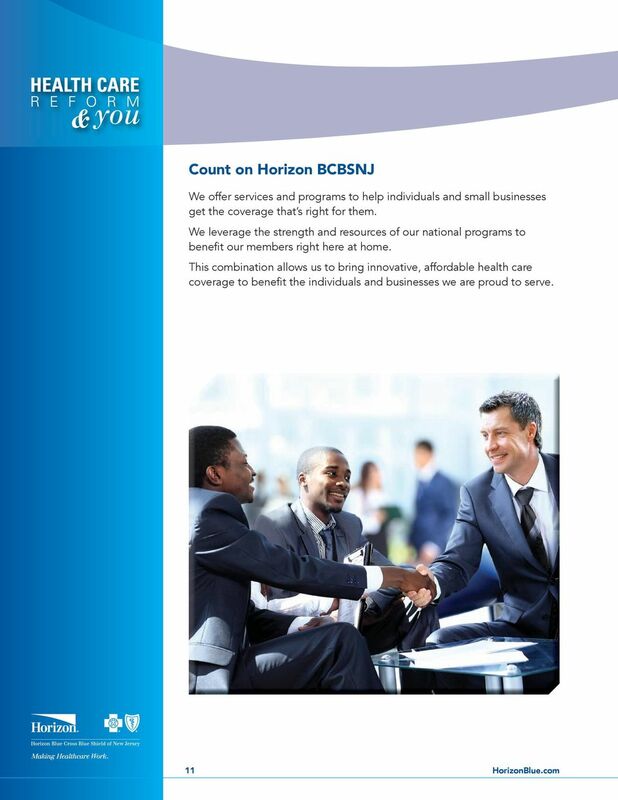 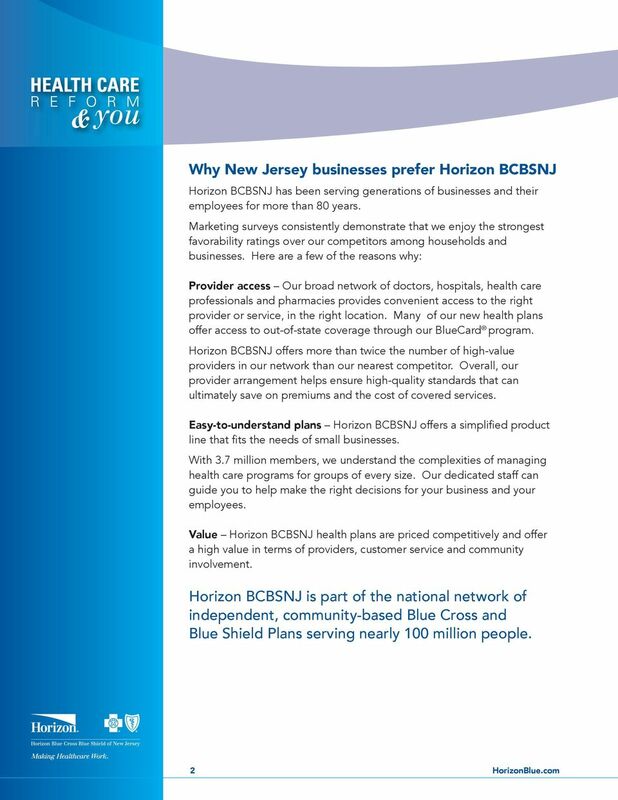 For more information, please contact your Horizon Blue Cross Blue Shield of New Jersey representative or visit us at HorizonBlue.com/reform. 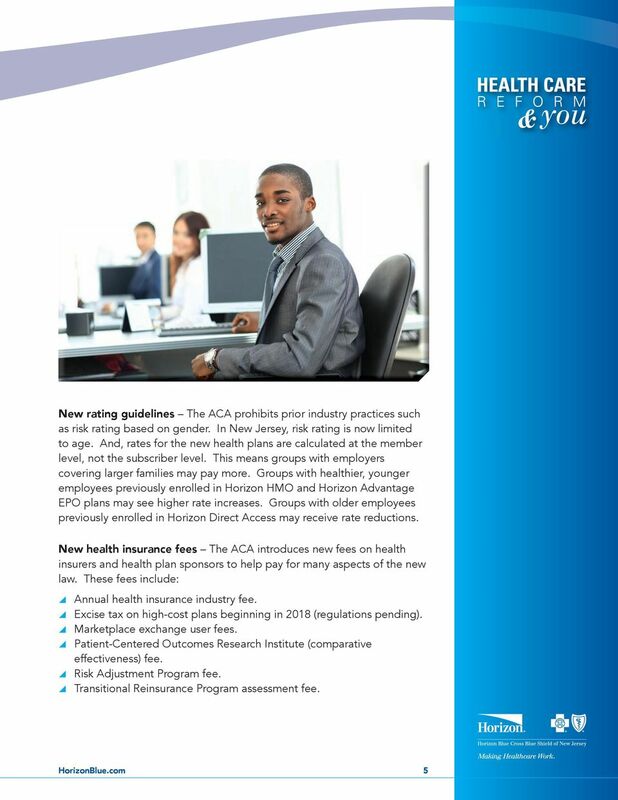 22 We help you comply with requirements January 2013: Limits on health FSA contributions take effect. 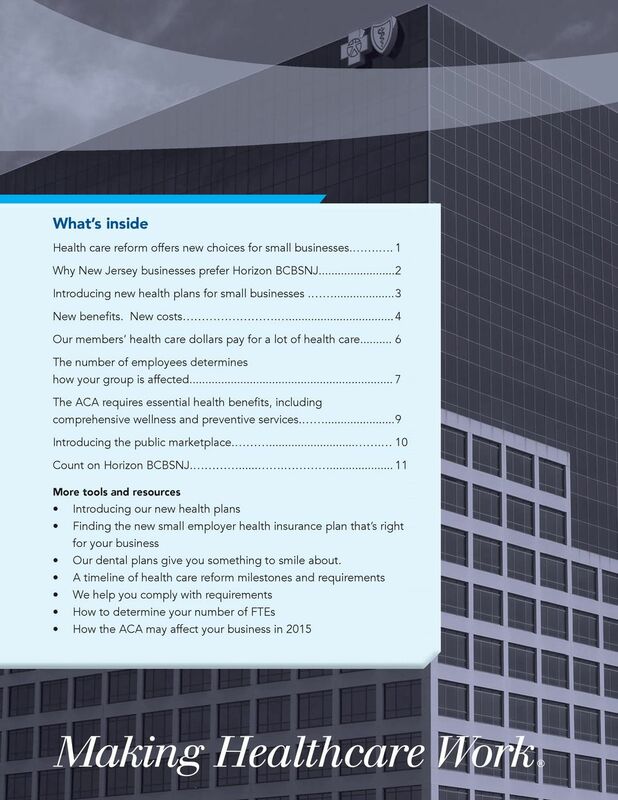 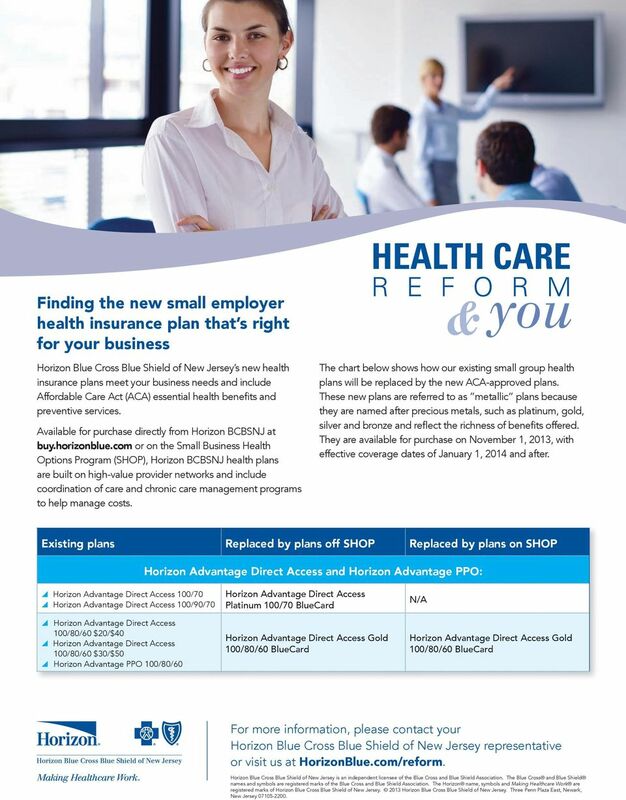 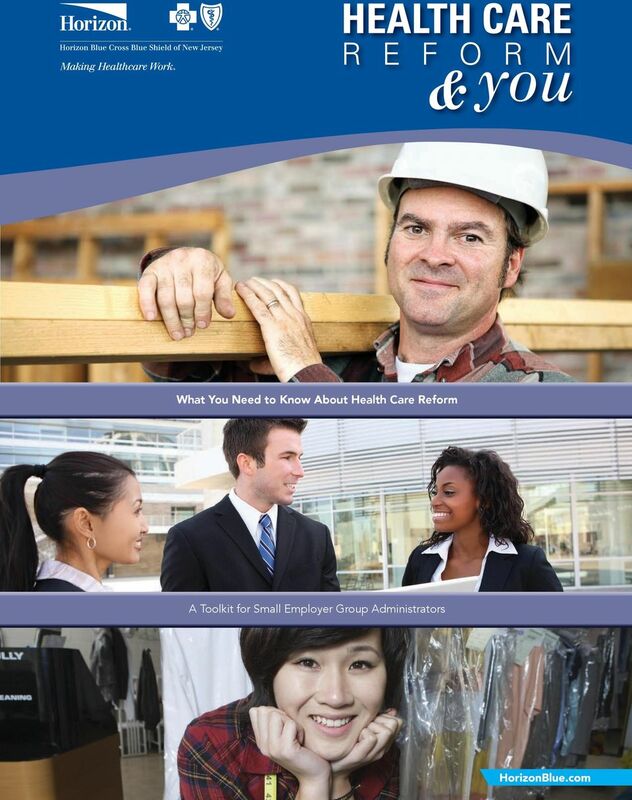 October 2013: Employers must provide employees with information about the Health Insurance Marketplace, benefit plans and tax credits Enrollment: Employers must coordinate with Horizon BCBSNJ to distribute a Summary of Benefits and Coverage (SBC) to employees. 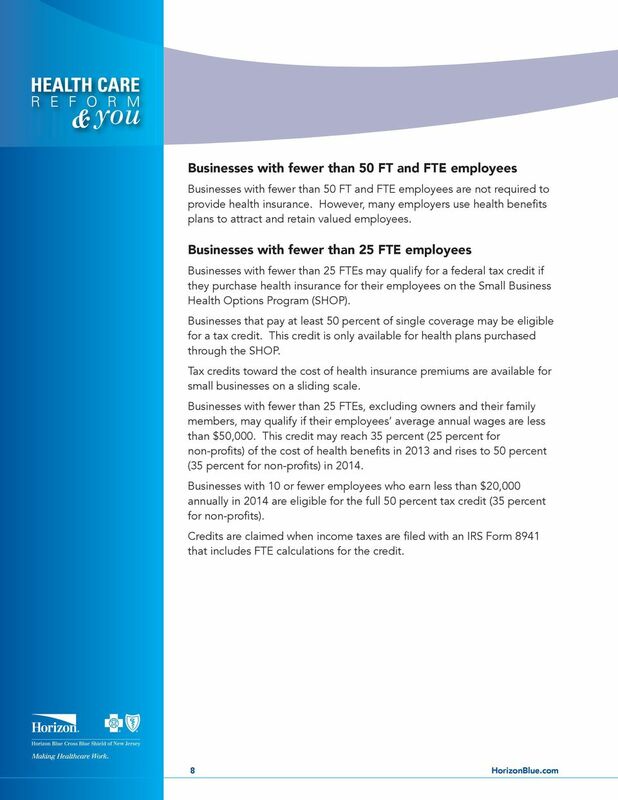 January 2015: Large employers must provide coverage and minimum value reporting. 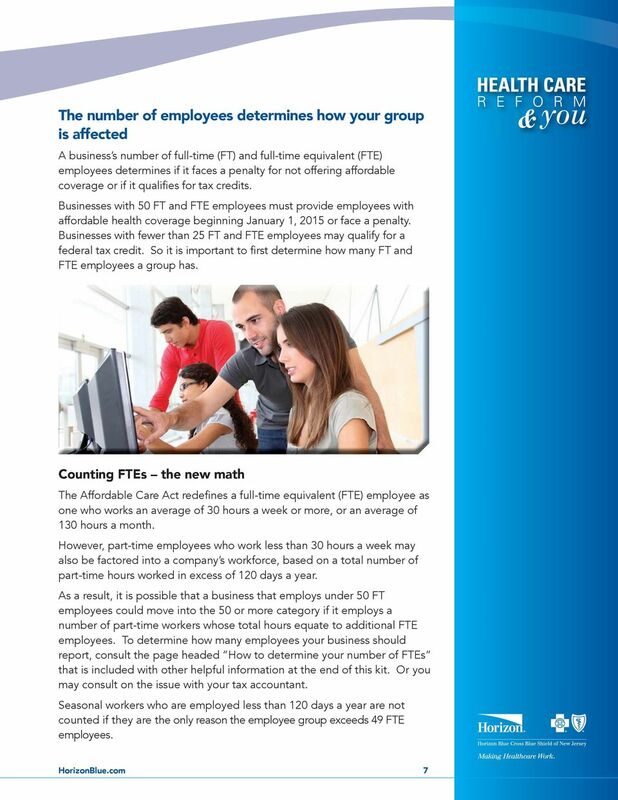 January 2015: W-2 reporting requirement (on 2014 income) begins for groups with more than 250 full-time equivalent (FTE) employees. 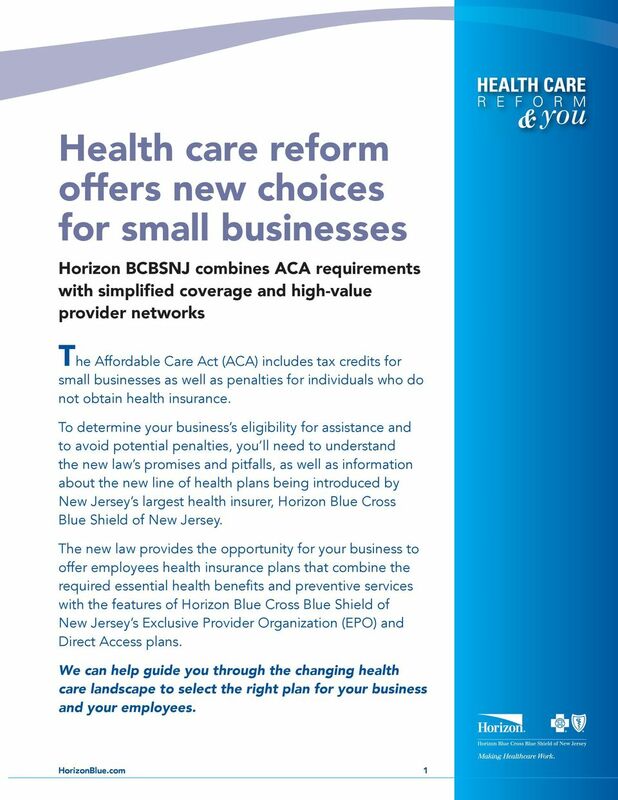 For more information, please contact your Horizon Blue Cross Blue Shield of New Jersey representative or visit us at HorizonBlue.com/reform. 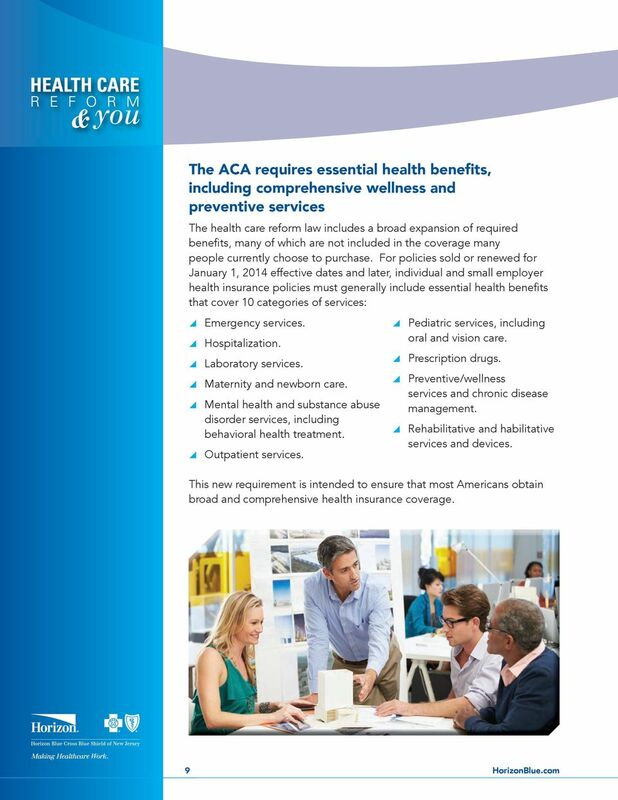 HEALTH CARE What does the Affordable Care Act mean to you? 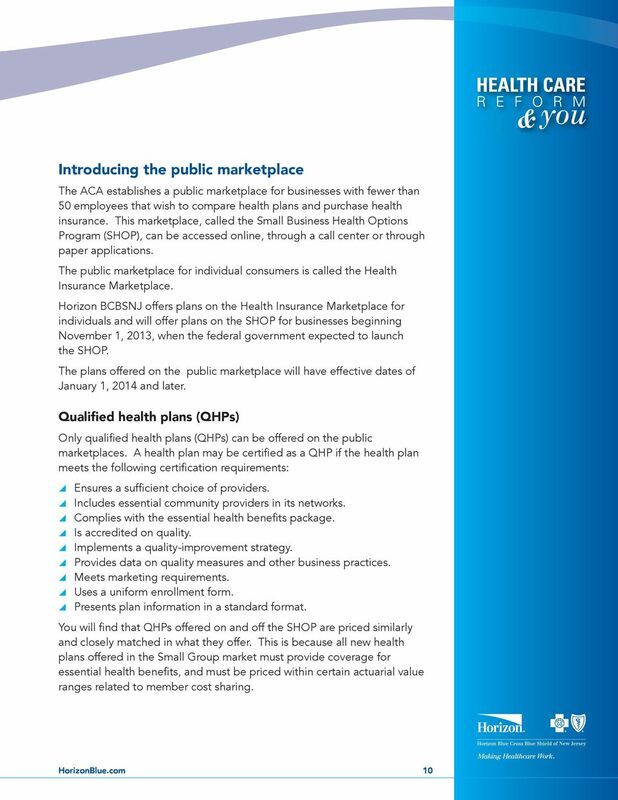 HEALTH CARE On March 23, 2010, President Obama signed the Affordable Care Act (ACA) into law. 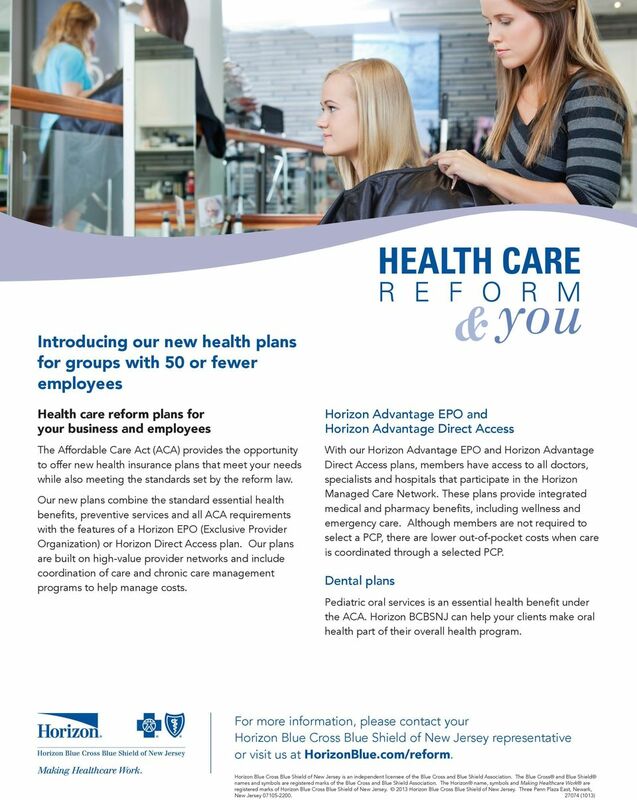 This marked the beginning of health care reform.